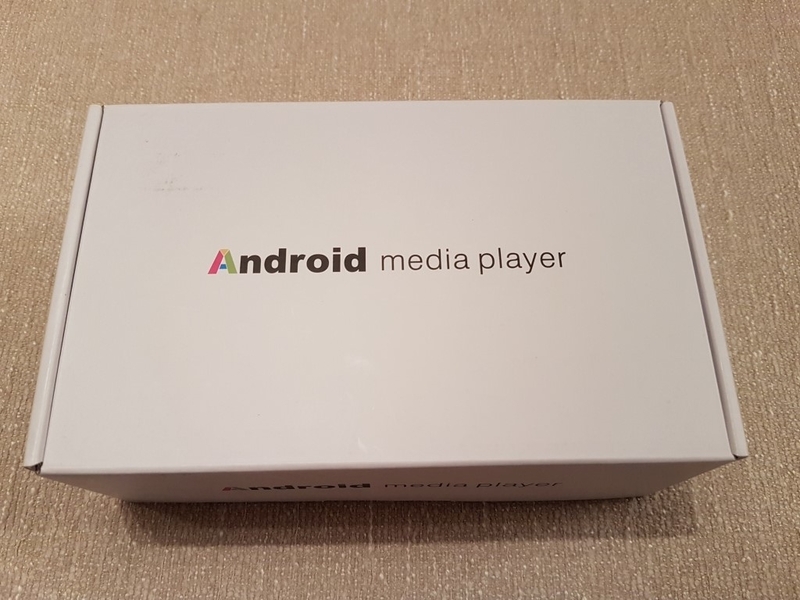 Mecool M8S Pro+ is another new Android media box from Videostrong. Compared to the bigger model (M8S Pro reviewed here) this one is now equipped with the S90X SoC instead of the more expensive S912 one. It also features Android 7 (Nougat) so a good performance is expected. Just like in any Mecool product, the packaging was white without many details regarding the specifications of the product. The M8S Pro+ is equipped with the very popular S905X Quad-Core SoC from AMlogic assisted by 2GB of RAM and 16GB of ROM. Penta-Core Mali-450 handles the 3D processing. I/Os feature 2 x USB 2.0, 1x HDMI 2.0a (4K and HDR support, HDCP2.2 compliant), 1x 3.5mm out and a SD slot (up to 32GB). No optical/coaxial out so take that into account if you wish to connect your TV box to an old A/V receiver. Network connections are fairly basic with Draft N Wi-Fi and Mbit LAN. BT is not supported. The M8S Pro+ model is very similar to the M8S Pro one just without the grilled texture at the top. We actually prefer this one because it looks minimal in a nice manner. As always for the price range, it is made of plastic but build quality is more than acceptable. No heating issues were evident due to the many grilles at the bottom and sides. The remote (IR) is exactly the same as the one we found in M8S Pro model from the same company. The grip is good and the numeric keys always come in handy. The feel when pressing the buttons could be smoother but we don’t have major complains. There a also five dedicated buttons available for programming. The instructions on how to do that are on the back of the remote. The overall performance was quite good and this is due to the exceptional combination of the processor and the new version of Google’s operating system. Videostrong’s KODI fork was pre-installed (TV Center) but we preferred the latest KODI 17.3 build instead. Video playback was handled very nice. S905X SoC provides very good 4K acceleration and playback performance with HDR is support. You can use the latest KODI build for better results. Playback of high bit-rate 4K files was much better from an external USB drive due to the Mbit limitation from the wired LAN connection. 1080p playback very good, even for high bit-rate BLU RAY backups. HD Audio pass-through is now supported thanks to Nougat operating system. Down mixing to stereo was also successful. Network performance was good based on the spec list. Via Wi-Fi, low bit-rate 1080p video files can be streamed perfectly (if you have of course a good AP) and through the (Mbit) wired interface playback of very high bit-rate files is also handled with ease. Gaming is possible, especially with 2D and/or light 3D titles. Typical behavior for a S905X SoC. Internal ROM and USB2.0 performance are very good for the price range. Android 7 (Nougat) is the new trend and the M8S Pro+ couldn’t have it any other way. The user interface is very responsive, with the exception of random lags in the settings menu. Play Store is pre-installed so that you can install any application you want from Google’s never-ending catalog. YouTube works at 1080p without any weird buffering issues. Although some stores advertised the M8S Pro+ capable for HD Netflix, that was not the case from the official application. S905X SoC is one of the developers most favorite so it would be very easy to find custom ROMs as well. We have tried Magendanz’s Android TV ROM with success. HD Netflix was enabled with this ROM. Of course flash it at your own risk! We have tested S905X based media boxes before. The results were always pleasing. This case gets even better since the Mecool M8S Pro is really cheap (~35-40$) and no major sacrifices were made towards that direction (still with 2GB RAM and 16GB ROM). There is a slightly cheaper 1GB RAM / 8GB ROM model as well but this version is a much better value. If you take into account that it can easily be transformed to a semi-Mi Box with almost all Android TV’s bells and whistles, the Mecool M8s Pro is the best option in the below 50$ segment. Don’t miss it if you intend to buy a media box of this price range.